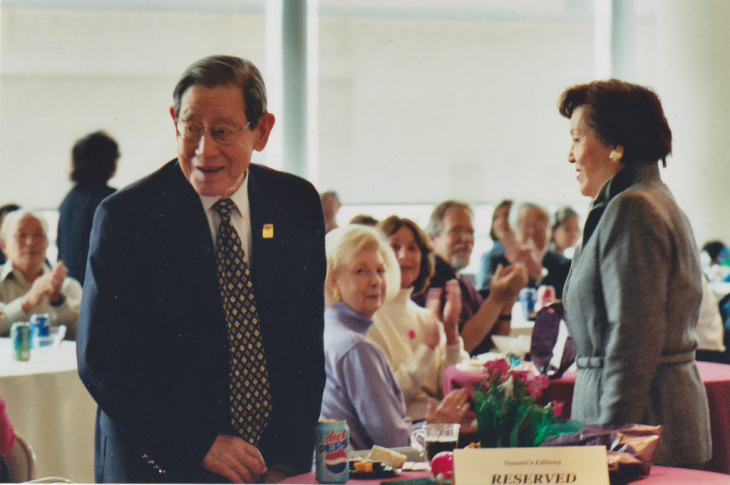 George Aratani at an event in 2004 at the Japanese American Museum in Los Angeles. 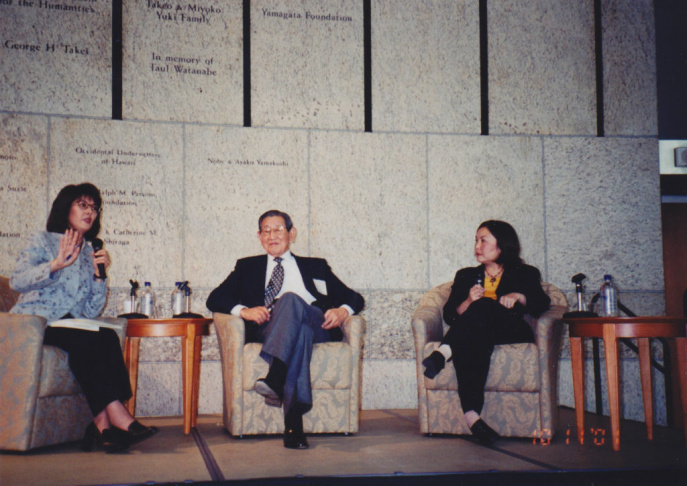 George Aratani speaks at an event in 2001 at the Japanese American Museum in Los Angeles. LA philanthropist George Aratani dies at 95. 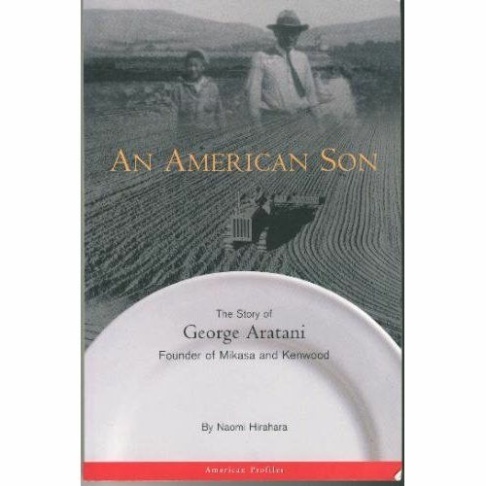 Naomi Hirahara's biography on George Aratani, "An American Son." 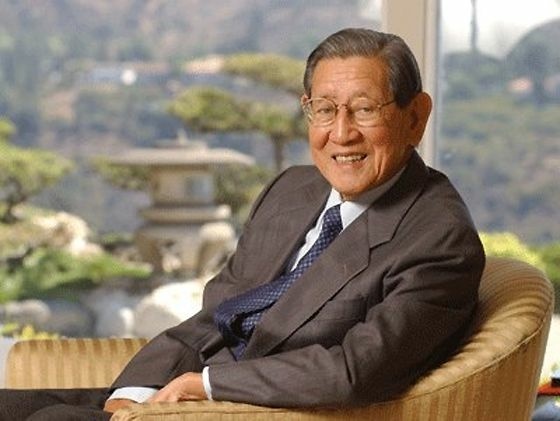 George Aratani, a Los Angeles businessman who donated millions in support of a wide variety of Japanese-American causes, has died. He was 95. Aratani founded Mikasa China and Kenwood Electronics, but he was also a major philanthropist who donated millions to local cultural centers, museums, religious institutions, and more. Born in Gardena in 1917, Aratani was the only son of Japanese immigrants Setsuo and Yoshiko Aratani. The elder Aratani moved his family to Guadalupe, California, near Santa Maria, and established a successful farming and distribution entrepreneur. When George Aratani was college-aged, he was sent to university in Japan where he learned Japanese and enrolled at Keio University to study political science. "That experience was pretty monumental because that's when he honed his Japanese language, he rubbed shoulders with politicians, different high level individuals in Japan," said Naomi Hirahara, author of Aratani's biography,"An American Son." "It helped him later in his business as well as securing donations for Japanese American projects here in Southern California." 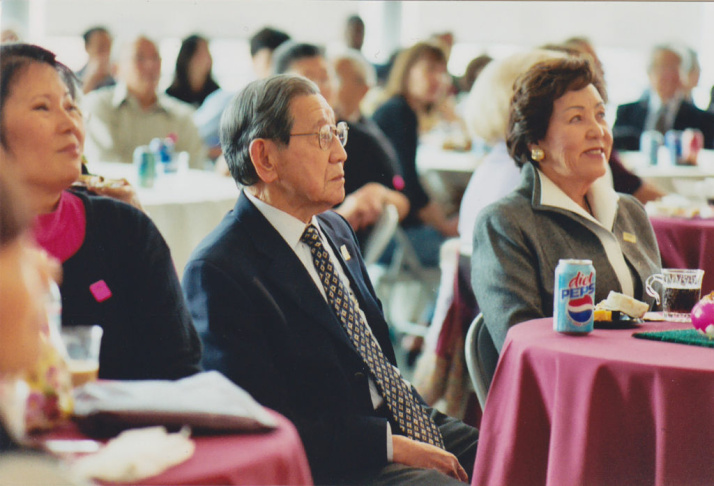 His mother died and his father remarried while he was in Japan, but Aratani finally came back to California to attend Stanford University in 1940 when his father became ill. When he father died a short time later, he took over the family business. About a year later, Aratani and his family were ordered to evacuate as part of the U.S.'s Japanese Internment efforts during World War II. He ultimately ended up losing the family business. "He kind of had to start from scratch after WWII," said Harihara. "He kind of took the same people that his father had employed for the farming business as well as his contacts in the military with the military intelligence service, and his knowledge of Japan and created an international trading business, Mikasa, which is an American company." Aratani also started the Kenwood electronics company and a medical supply distribution company. Aratani is survived by his wife, Sakaye, daughters Linda and Donna Kwee, plus seven grandchildren and four great-grandchildren. Naomi Harihara, author of "An American Son: The Story of George Aratani : Founder of Mikasa and Kenwood"